Electric vehicle quick charging stations can experience potentially hazardous effects due to high voltages. 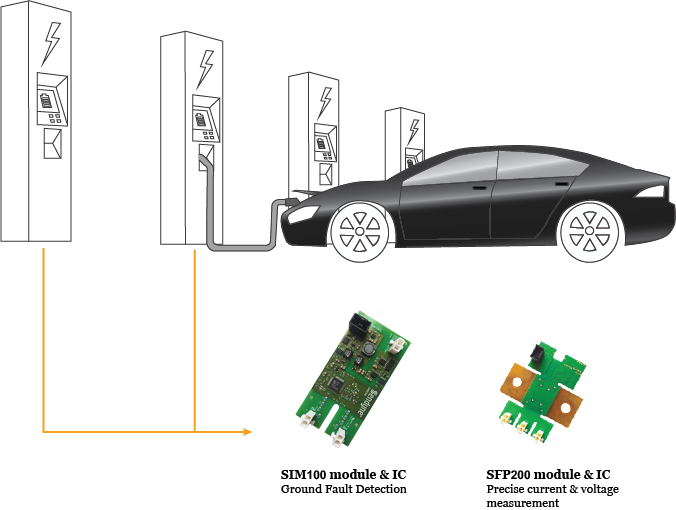 Sendyne is addressing these safety concerns with the SIM100, the first product in the market to introduce features tailored specifically to the safety of CHAdeMO and CCS quick charging stations. The Sendyne SIM100 individually tracks the positive and negative power rails for ground leakage paths providing continuously accurate estimates of each path’s insulation resistance. Sendyne also offers precise current and voltage measurement modules and ICs. Copyright 2010-2019 Sendyne Corp. All rights reserved.